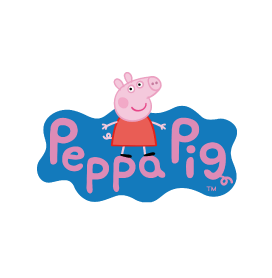 Peppa Pig and her little brother George are some of the best-loved characters out there. When they put on their wellies, you know they’re going to get up to some kind of mischief! Here at Shoe Zone, we want to make sure that when your little critters are in the mood to get messy, they can do it in style with our Peppa Pig wellies! Our range includes sparkly Peppa Pig wellies and snow boots to keep kids’ feet warm and toasty during those chilly days. You will also find other great quality footwear such as boots, trainers, sandals and cosy Peppa Pig slippers with touch fastenings for added security. If your little tykes are fans of the show, they’ll love these shoes. All of the footwear in the Peppa Pig range has been specially selected by us to provide comfortable yet fun, stylish shoes without compromising on quality. All are available in a range of different sizes and at cheap prices. There’s free & fast delivery for all our Peppa Pig shoes so you’re good to go in no time at all. If our Peppa Pig range isn’t what you’re looking for, be sure to check out our girls’ shoe collection here. From there you can look at other makes of girls’ wellies, shoes and slippers which are all available at low prices. 5 products from £9.99 to £12.99.